Michael C. Giordano is accredited as a Department of Veterans Affairs Attorney which qualifies him to assist disabled American veterans with the preparation, presentation and prosecution of claims for benefits before the Veterans Administration (VA.) He assists disabled veterans from all branches of the United States military including the Army, Navy, Marines, Air Force, National Guard. His Blauvelt, NY office is a short distance from the U.S. Military Academy at West Point. If your veterans’ benefits have been denied, please call Michael now to schedule a consultation and evaluation of your claim. 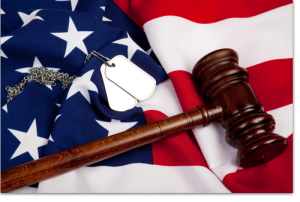 He will discuss the facts of your case and work to prove that your existing medical condition is a result of an accident, injury or other incident during your military service. Mike’s fees are paid only from past veterans’ benefits already owing and are limited by law; your future benefit payments will not be affected.